Shear Tech DS-6500/6600 Document Sequencer - Technology Unlimited, Inc.Technology Unlimited, Inc. The DS-6500/6600 is a high speed, stand alone, programmable, fully automatic, Bates* Numbering System. 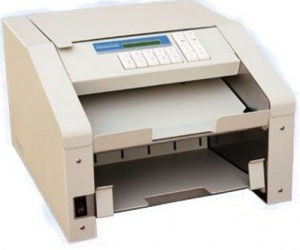 The DS-6500/6600 machine is specially designed to automate such jobs as Sequential Page Numbering (also called Bates* Numbering or Paginating), Document Labeling, Time and Date Stamping. It can also be used as a high speed Document/Page Counter. + Reduces processing cost of litigation documents. + Increases productivity and reduces potential scheduling crisis’s. + Eliminates security and confidentiality issues. + Allows printing any alpha-numeric information (page number, case name, time/date etc. ).